Your opinion matters. Leave A Review Or Edit This Listing for The De Soto Kansas Food Pantry. Bring photo id and/or current public utility bills or school registration document. No income limits or restrictions. To help the people in our community who are experiencing financial difficulties to provide food for themselves and their families The De Soto Food Pantry, Inc. was established to help the people in our community who are experiencing financial difficulties to provide food for themselves and their families while preserving their dignity. We provide a confidential environment that respects the privacy of the clients. We strive to involve the community in a way that encourages commitment to the community while teaching empathy and nurturing compassion. We always need more information on our pantries. 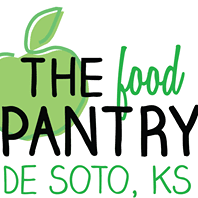 If you know of any details, volunteer information, website, hours or more description information about The De Soto Kansas Food Pantry please add a comment (below the map on this page), with information. We will then display this for all visitors on this page.